Fully updated, this new edition provides an introduction to normal, healthy physical development for all professionals who specialise in working with children. The author, an experienced nurse teacher, guides the reader through the key changes in body systems and functions from embryo to birth through childhood and adolescence. Chapter 1 sets the scene for physical needs in child development, such as the need to be warm and safe. 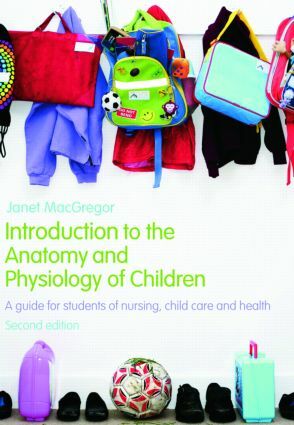 Chapters 2 to 9 cover the body systems: skeletal; nervous; cardiovascular; respiratory; renal; digestive; reproductive; and immune. The embryology and physiological function at birth is explored in each chapter before the text moves on through the many changes over the next decade to puberty and the arrival at adult functioning. A new final chapter provides a holistic account of children’s development, body and mind. Each chapter is illustrated with line drawings and tables, and ends with scenarios which illustrate how knowledge supports good practice in a real-life situation, and a quiz to consolidate learning. Concise and clearly written, this introductory text will be essential reading for all those working with children and families in the health and social care sector, enabling them to ensure children enjoy a safe and healthy childhood in line with Every Child Matters and new national service framework directives.